Paradigm® Blog | News & Updates: Paradigm Prestige 95F Wins Audio Product of the Year Award from HTSA! Paradigm Prestige 95F Wins Audio Product of the Year Award from HTSA! Paradigm's Prestige 95F floorstanding speaker received the HTSA "Audio Product of the Year" Award! We are incredibly proud of the outstanding sonic signature and beautiful design of the Prestige line of products. Receiving the recognition and support from some of our top dealers in the US speaks volumes. Click here! to learn more about Paradigm's Prestige 95F. Click here! 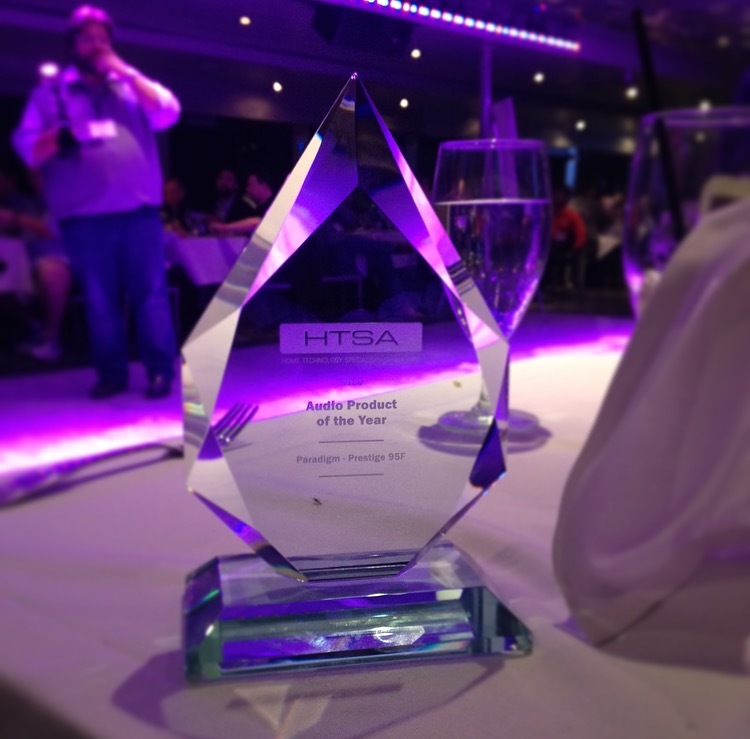 to see all the 2015 HTSA award winners.